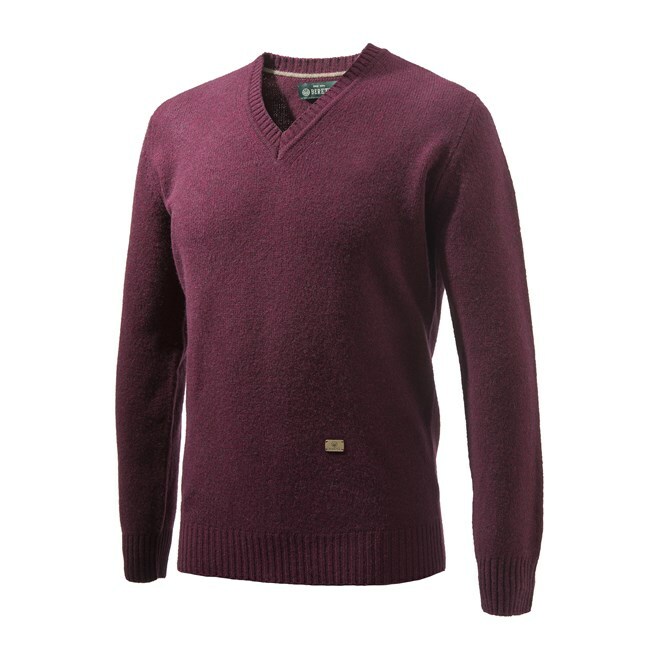 Line of made in Italy sweaters in soft and warm wool. 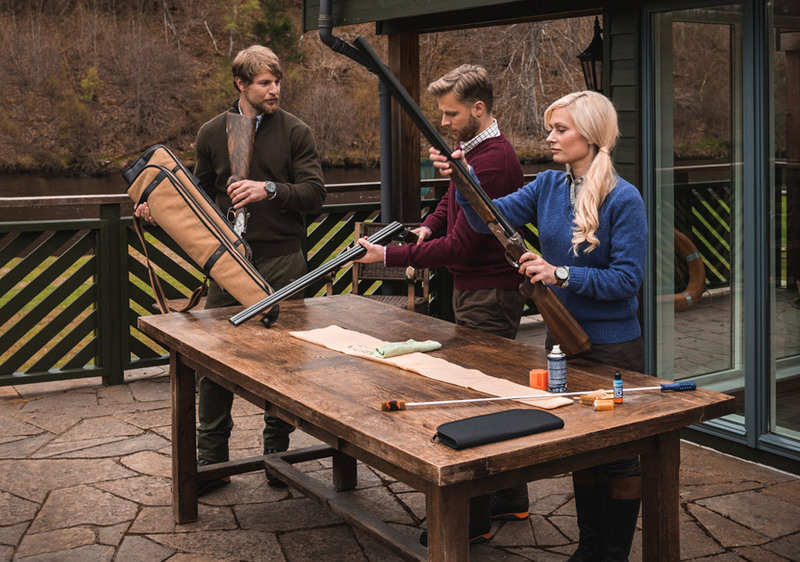 The range of colors includes the classical hunting ones and some bright colors coordinated with the shirts and ties of the Gentlemen Hunt collection. 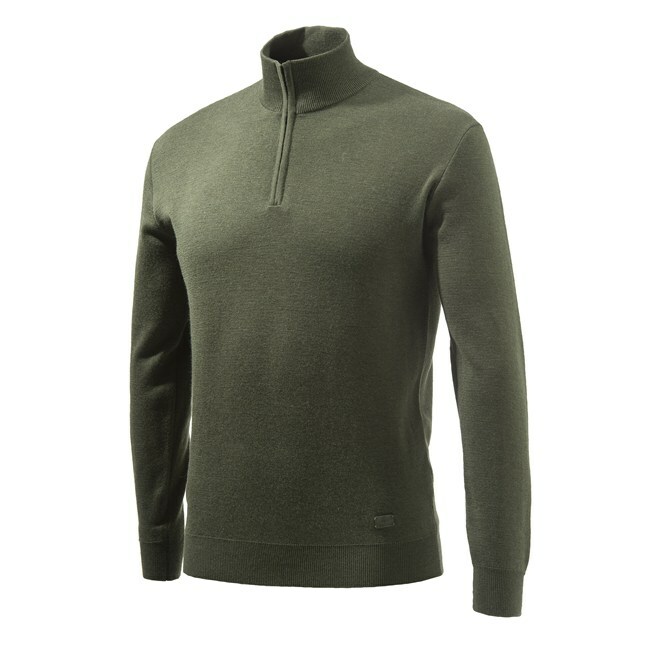 A COZY AND WARM MERINO WOOL MEN'S SWEATER, WITH CASHMERE ELBOW PATCHES AND STITCHED BERETTA LEATHER TAB. 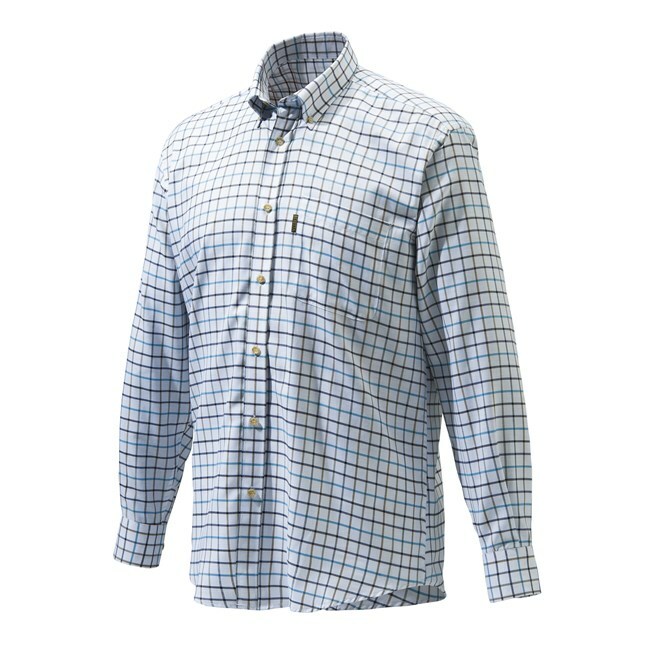 THE CLASSIC AND VERSATILE BUTTON DOWN SHIRT, WITH BRANDED BUTTONS AND CHEST POCKET. AVAILABLE IN DIFFERENT COLOURS. 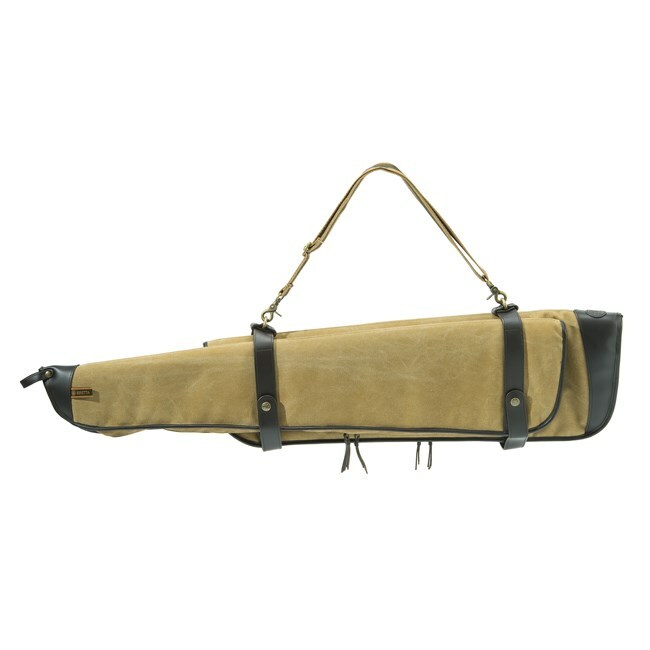 MEN'S V NECK SWEATER IN SHETLAND WOOL, WITH STITCHED BERETTA LEATHER TAB. 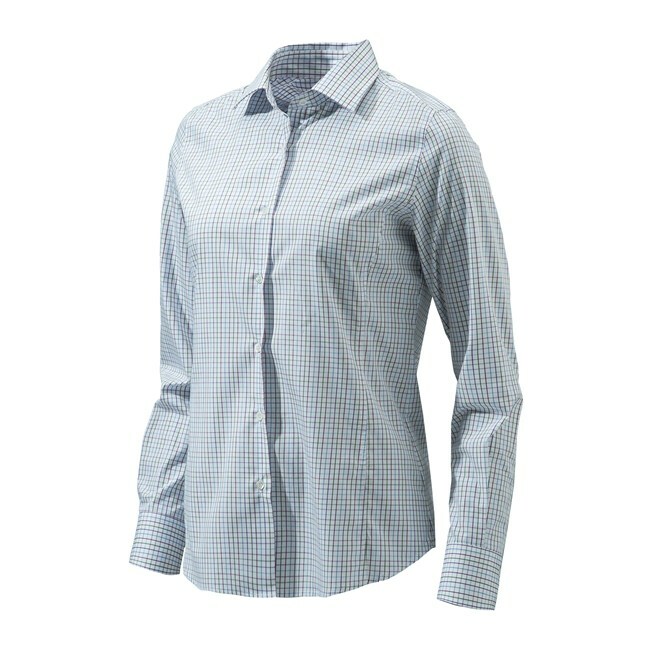 CLASSIC WOMAN'S PLAIN COLLAR SHIRT, WITH LONG SLEEVES. 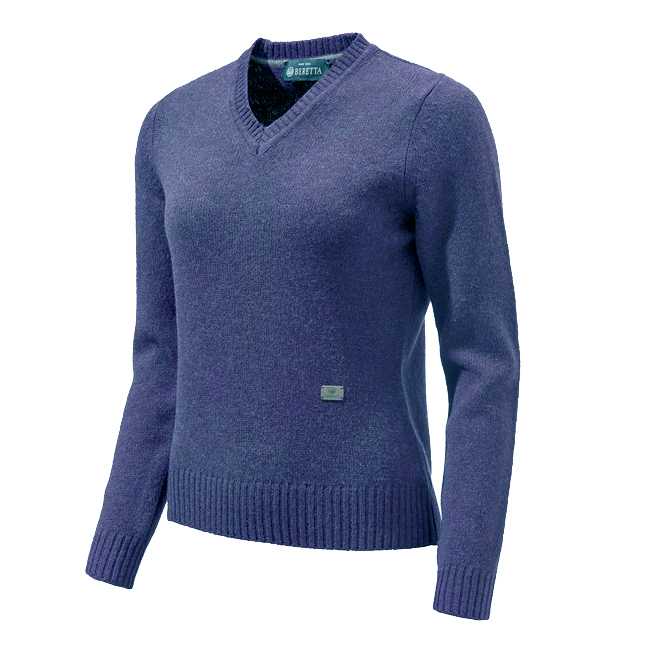 WOMEN'S V NECK SWEATER IN SHETLAND WOOL, WITH EMBROIDERY ON THE CHEST AND STITCHED BERETTA LEATHER TAB. 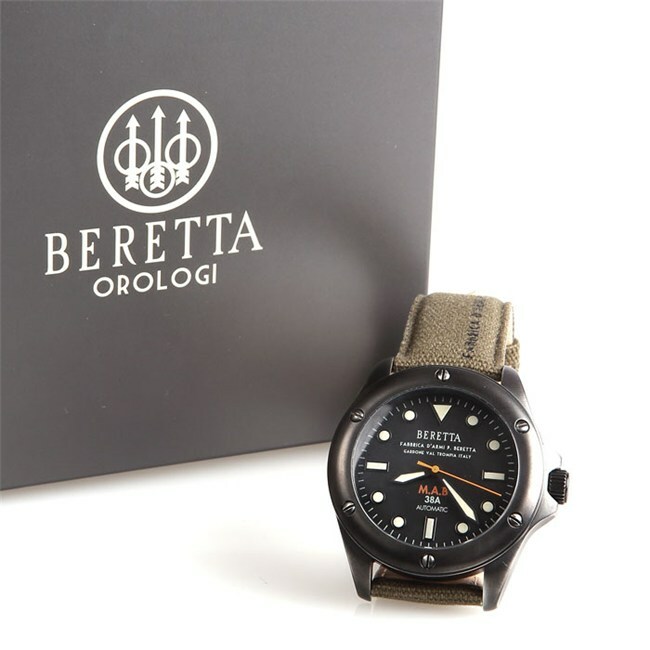 STAINLESS STEEL AUTOMATIC WRISTWATCH INSPIRED BY VINTAGE BERETTA FIREARM MOSCHETTO AUTOMATICO MOD. 1938.